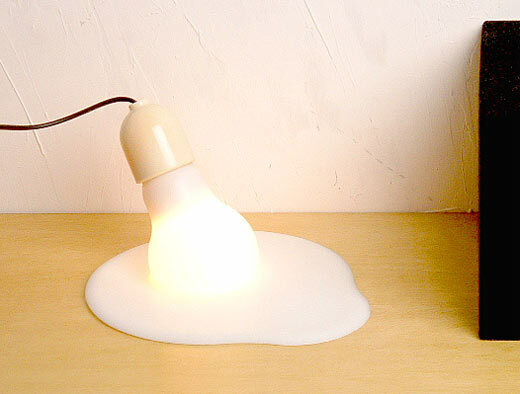 Melting Light Bulb: is This How Salvador Dali Lit His House? Light bulbs are made out of glass, so they shouldn’t melt unless you heat them to a couple of thousand degrees Farenheit. That is, unless you get one of these kooky lighting fixtures from Propaganda. The lamp lets you fool people around you into thinking that your bulb is actually melting like a Good Humor bar on a hot Summer day. From a distance, the melting bulb lamp looks very convincing. Up close, you can see a bit more of its rubbery construction, but it’s still pretty fun.